Events are an incredibly important part of marketing for any company. 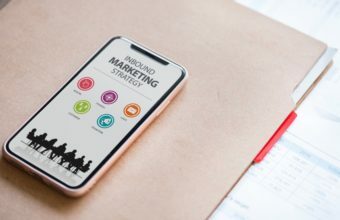 It doesn’t matter if your company is B2B or consumer-facing, events are where you make personal, face-to-face connections and leave lasting brand impressions. But, anyone who is in charge of event management knows that the job is close to that of an orchestra conductor. Between driving sign-ups, monitoring leads, event production, partner coordination, and getting physical collateral organized before the event, following up with the leads you gathered often falls by the wayside. And that hurts your ROI – big time. In fact, 22% of brands don’t even have a way of measuring their events’ success (EventTrack Study). Generally, people use several different apps to complete and monitor these tasks, which results in data silos. And, as we all know, data silos are bad! Make it more difficult to adjust campaigns to hit registration goals because you might not have an easy view of how many people registered or easy way of making sure they’re part of the right campaigns in your CRM, Email Marketing App, etc. The obvious answer to this problem is integration. But only 14% of marketers plan to integrate marketing automation with their events and only 7% currently do (Capterra). Integration sounds technical, but it doesn’t have to be difficult and the returns are immense. You can use bots like Workbot to bring all of your event pipeline information into Slack. This gives you one 360° view and means you’ll be more productive, produce a better event, and increase ROI. 83% of brands say that their #1 reason for event participation is increasing sales (Live Marketing). 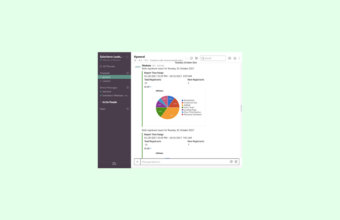 Use Workbot and Slack to make the management of the event a breeze so you can focus on follow up and sales activities without being backlogged and fatigued when the event ends.